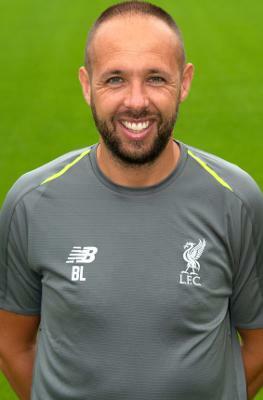 Barry Lewtas was promoted from coaching the U16s to becoming U18s manager in July 2018, filling the role vacated by Steven Gerrard. Barry joined Liverpool Football Club in 2013 after working previously at Wigan Athletic and Bolton Wanderers. He arrived at Wigan Athletic in 2003 to work in their Centre of Excellence where he worked with players aged 10-13. He then moved to Bolton Wanderers in 2007 to work at their Academy, coaching boys aged 11-14 for six seasons. During his time at both clubs he gained valuable experience working across various age groups. In 2013 Barry moved to Kirkby to take the U12 group at the Academy. Since then he has been lead coach for the U10-U12 age group before heading up the U16 group. Speaking about his appointment as U18s boss, academy director Alex Inglethorpe said: "We're delighted Barry has decided to take up this position. "He already has a strong relationship with those players who will make the step up to our U18s in 2018-19 thanks to his previous role with the U16s."